For over 28 years, we have been successfully developing our expertise in mapping intelligence, both with C&D Online and with specific applications dedicated to visualizing, enhancing and piloting strategic databases. More than 11 000 customers in SME, major accounts and administrations already trust us for their statistical decisions. …is what drives our everyday work. From developers and trainers to our sales team, and even to our accounting team, each and everyone of us does their best to earn and keep your trust. Therefore, you shouldn’t hesitate to ask us any question, or make any comment. The better we know you – the better we can serve you! Making the most of innovation and designing a user experience that really improves the way you make business is our development teams’ every day job. That’s why 20% of our yearly turnover is directly reinjected in innovation. We are proud that our mapping intelligence solutions – developed with statisticians – have become a reference on the market for their accuracy. We know how easily figures can distort reality. A badly made visual analysis can do a lot of harm. That’s why at Articque, a scientific committee guarantees the relevancy of innovations and of applications for users. 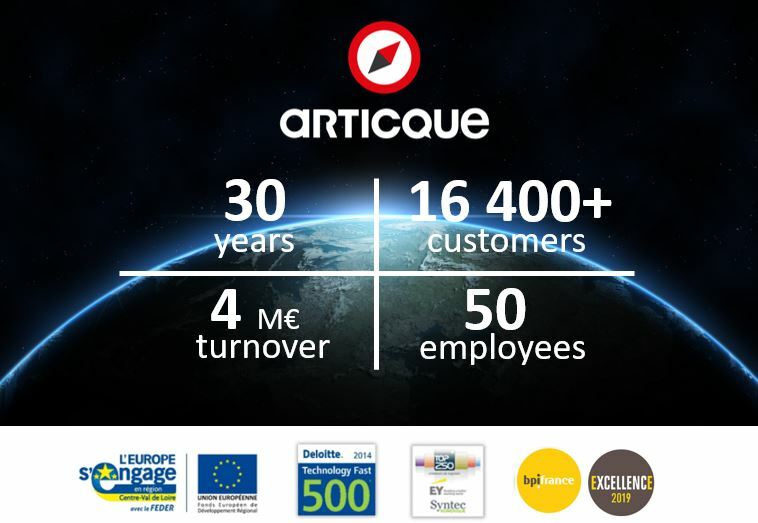 Articque has strong principles and values. We firmly believe that the success of a company depends on the human factor. Treating co-workers fairly and ethically goes without saying. Environment protection is a value shared by all our employees, who are committed to adopting eco-gestures everyday in the office. We have been financing programs for education and for the unemployed for over 20 years.